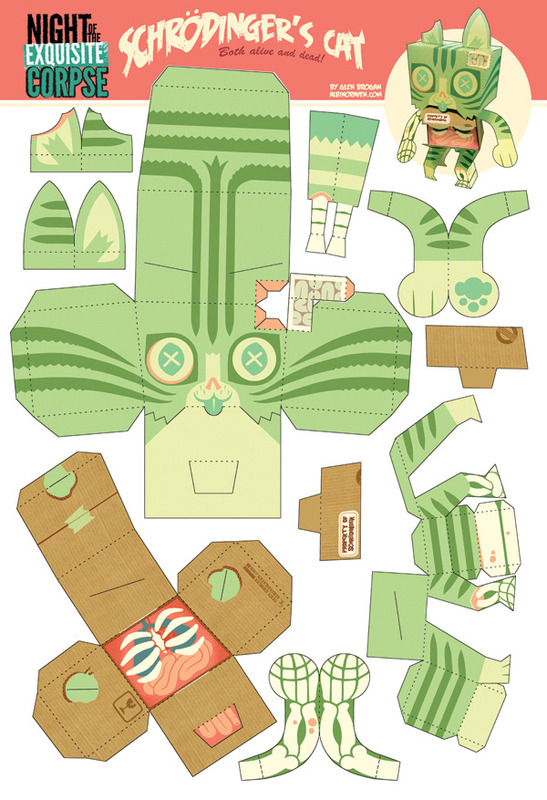 Schrodinger’s Cat Papercraft by Glen Brogan. | The Sketchcard Saloon. ← Okami Plush and Blazblue Cosplay. 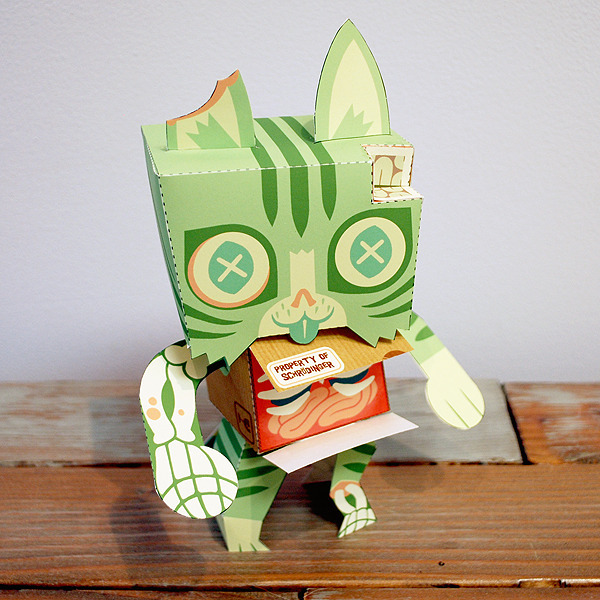 Schrodinger’s Cat Papercraft by Glen Brogan. In one reality, you have already printed the following pattern on cardstock and constructed your own Schrodinger’s Cat. In another, you never will. This entry was posted in Randomness and tagged Glen Brogan, Schrodinger's Cat. Bookmark the permalink.